Few would dispute Jonas Kopp as being one of the most prominent and exciting figures to emerge from Argentina in recent years. 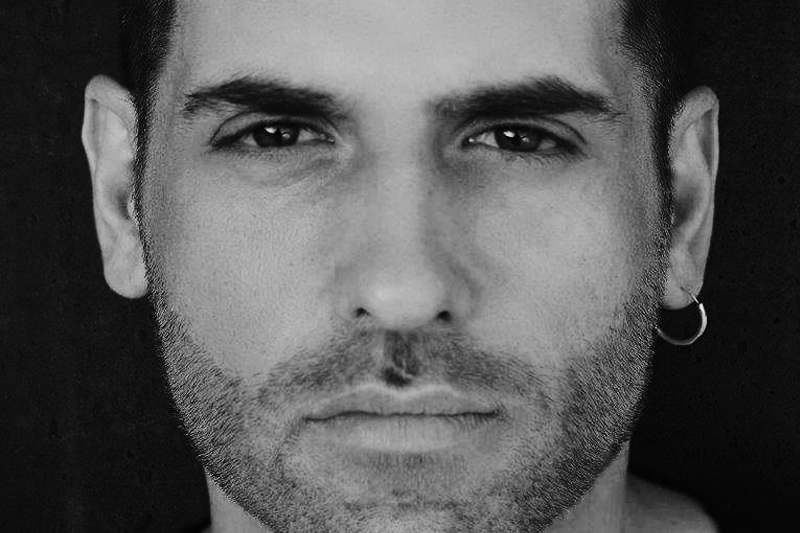 An accomplished producer, in- demand remixer and versatile performer, he has fast transitioned from Buenos Aires’ best-kept secret to one of contemporary house and techno’s leading lights, on a par with genre-defying luminaries such as Levon Vincent, Ben Klock, Marcel Dettman and Ryan Elliot. Jonas’ music career began early on; by the time he was nineteen he had made his first full length CD under the name of Area 64 whilst working as resident DJ at a popular FM radio station. In 2006 he made his debut proper on Pfirter’s MindTrip Music imprint, and has been flirting with a myriad of styles ever since. But whether it’s deep Chicago-inspired house (Curle), or driving basement-ready techno (Stroboscopic Artefacts, Krill Music, Ostgut Ton), cavernous basslines and mesmerising rhythms flavour his eclectic discography throughout. It is this distinct and powerful signature that makes records like Reforce possible — his first four track EP for Deeply Rooted House and most diverse yet. Where the surging and the abstract, the uplifting and the slow-burner all find themselves side-by-side. An equally multifaceted performer, Jonas has become renowned for his three turntable DJ sets that course dizzyingly through tempos and temperaments — anything goes when Jonas is on deck. Meanwhile, his more techno-orientated live PA show has been refined over the years using a blend of digital and analogue equipment, unveiled for the first time at the prestigious Berghain back in July 2010. He has since remained a regular fixture at the Berlin institution, and club circuit Europe-wide, totalling memorable appearances at ADE, Sonar and Amsterdam’s Trouw, to name a few. He has also toured outside Europe, with visits to the US, Australia and Japan. Despite enjoying worldwide notoriety, Jonas hasn’t forgotten his roots. Founding Traut Muzik in 2008, the label has chiefly supported fledgling and home-grown talents, like Franco Cinelli, in a move to further raise the profile of the South American electronic scene. Its remit has since widened to welcome the likes of Tom Dicicco and Bleak to its budding roster. In November 2014, Trésor, the most important techno platform, launched Beyond The Hypnosis, his first and eagerly awaited first album. The record is made up of a wide variety of tracks that range from the deepest ambient to the barest techno. In recent times he has become involved in new projects that bear witness to his love for the sound of Chicago and Detroit house, with a contemporary touch to each of its productions. Untidy is a unique platform that publishes vinyl only to great acclaim within the house circuit. On the other hand, Manzel is the latest string to Jonas’ bow —a side production project and label dedicated to the deeper and more hypnotic end of the techno scale. If Jonas Kopp has proven anything during the past ten years is that, in music, he's capable of pulling off almost anything he sets his mind to. Since his debut in 2006, he has built a vast and solid discography that covers different facets of electronic music.